What Goes Where? How to format a screenplay. There’s at least one area where life has gotten easier for screenwriters. And that’s formatting. There was a time when a screenwriter had to struggle with a typewriter (you know, those clackity-clack things that have a keyboard and no ports) but then technology improved and screenwriters got to fight with the frustrating limitations of Word-Star and Microsoft Word. Today we’re lucky enough to have some excellent software packages that make formatting your screenplay so much easier. So, why do you need to read up on formatting? It’s all taken care of, right? All the decisions are made. Well, not exactly. Here are five things you need to be considering while Final Draft puts everything else where it belongs. No. 1 — Know what kind of script you’re writing. There are basically three different kinds of screenplays: there are spec scripts (or pre-production scripts), there are shooting scripts, and there are post-production scripts. They correspond to the phase of production your film is in. Spec scripts are screenplays designed to sell your story and get you through the development process. The advice I give is almost always for new writers and therefore about spec scripts. A shooting script is a blueprint for exactly what will be shot. New writers, especially those who’d like to direct, frequently get spec scripts and production scripts confused. Don’t. Finally post-production scripts are basically transcriptions of the final film to be used when making censorship edits for later markets and subtitling. No. 2 — Formatting is style. As children we’re taught that grammar is concrete, there’s always a right way and a wrong way. As adults we learn that grammar is actually style and if enough people make the same ‘mistake’ it becomes ‘correct’, or rather it becomes the accepted style. Formatting a screenplay is exactly the same. 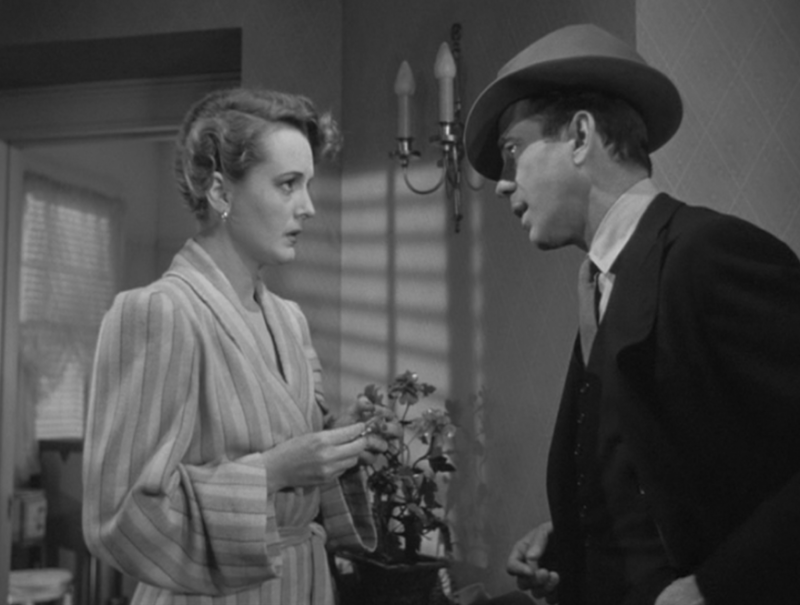 There are definitely trends and a screenplay written in the 1940s looks very different from a screenplay today. And, like grammar, you can break rules when formatting your script. But there are rules to breaking rules. 1.) Have a good reason, 2.) always be consistent, if you break a rule keep breaking it, 3.) don’t break too many rules—if you break one or two rules a reader will pickup that that’s your style; if you break all the rules you’ll just look wrong. No. 3 — No camera angles or transitions. Or very, very few. Remember that the goal is to make the reader feel like they’ve seen a film; not slogged their way through a screenplay. If you have camera angles in mind, which you should, then write your description in such a way that makes your reader see a close-up without having to read CLOSE-UP. There are, of course, exceptions. If you really can’t avoid a camera angle then use it. This rule remains true even if you’re angling to direct your project. No one is going to give you a directing job because you know how to type TRACKING SHOT. You get directing jobs because you’ve conveyed that you have a clear and unique vision. And, don’t put CUT TO: or FADE TO: or DISSOLVE TO: or anything else at the end of your scenes. If your script is one hundred scenes over one hundred pages that adds several pages of nothing to your script. Just use FADE IN: at the start and FADE OUT when you’re done. No. 4 — Keep it light. Your pages should be light and airy. When writing description limit yourself to paragraphs that are no more than four lines. The first people who will read your script are people who read scripts all day long every day and then more on the weekend. The last thing you want to do is hit them with big huge blocks of text. If you make sure the pages turn quickly they’ll have the idea that your script clips along at a healthy pace. No. 5 — No wrylies. If you’re writing a line that should be delivered wryly, you need to write it that way. And if you haven’t written it that way, no adjective is going to make it so. On the other hand, this could be a really fun rule to break. And just illustrate how you break rules here are two examples. If you’re writing a character who answers every question with “No” for two pages. A wryly or two might be hysterical (certainly more to the reader, the actor will ignore you.) Or, say you’re writing a character who’s a newbie screenwriter. Throwing a wryly on his or her dialogue could be very funny. So, there are five tips to think about while formatting. There are likely dozens more but this is a good start. What are your favorite tips? 11 Replies to "What Goes Where? 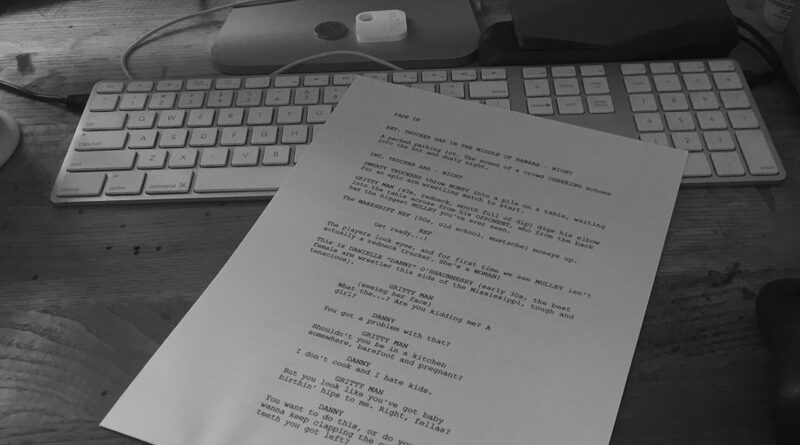 How to format a screenplay." Thanks for very creative instructions. Thanks for pointing that out. And, yes, the extra rule. Always proof your work. Thanks for the comment, Bob. Keep putting yourself out there, keep learning, and you’ll eventually get something sold. Stubbornness is a virtue for screenwriters. Thank you Marshall for your most informative tips. And for Bob’s humor in reply. What is it’s not a/ an ( –ly)? are all parentheticals out? A wryly describes how the dialogue is spoken. In general, I would use parenthetical sparingly. Great points, Marshall. I also use parentheticals for the rare times when the line needs to be read completely opposite its obvious meaning.